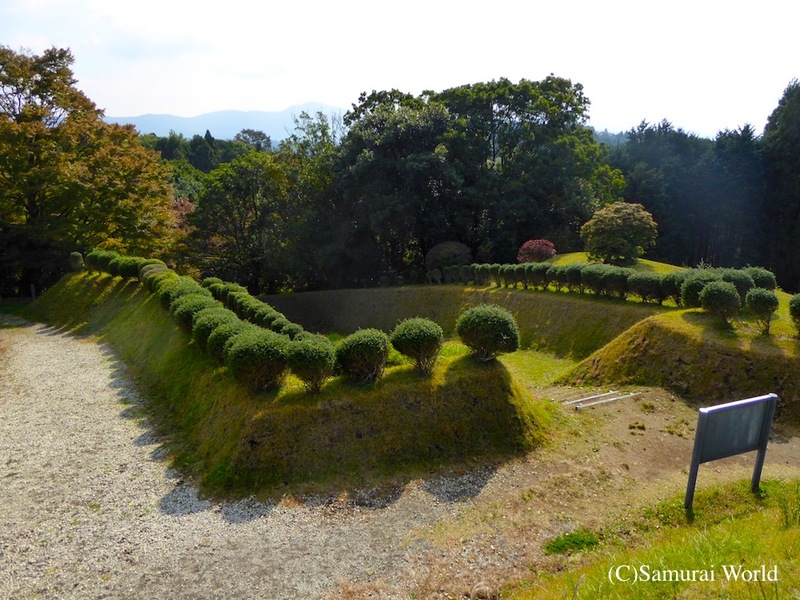 Yamanaka Castle was established by Hojo Ujiyasu in the 1560’s in what is now eastern Mishima, Shizuoka Prefecture. 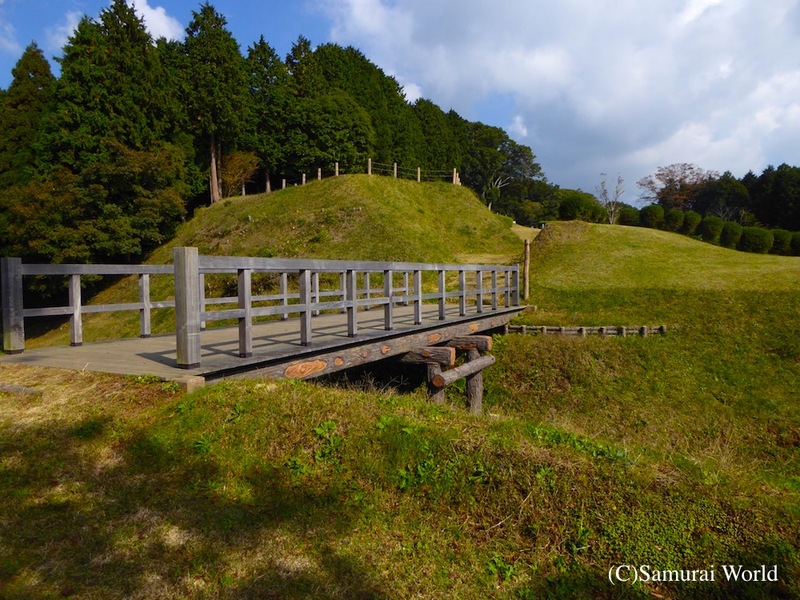 It was to be a first line of western defense in protecting the main Hojo Castle at Odawara. 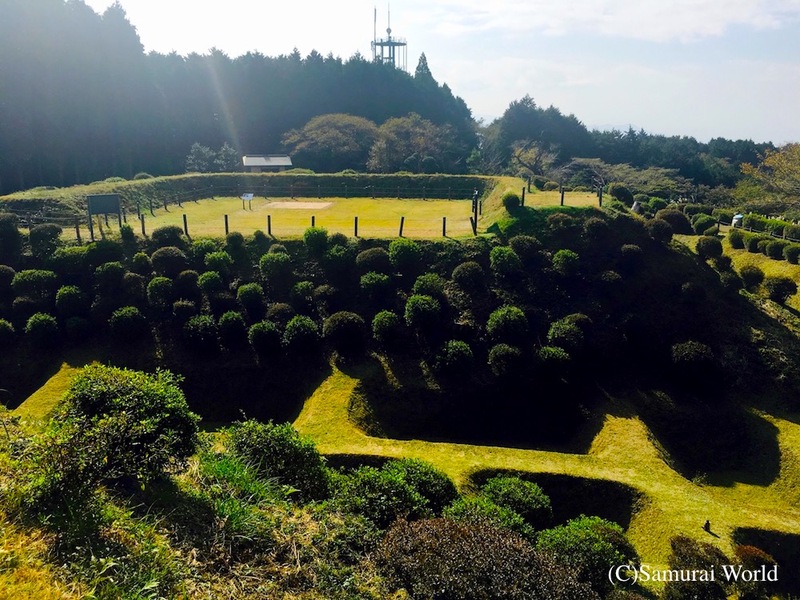 Carved and dug from the side of a 586 meter high mountain, Yamanaka Castle is interesting in the fact that it was built spread out across the side of a mountain facing the Tokaido Highway leading to Odawara and commanded superb views of nearby Mt. 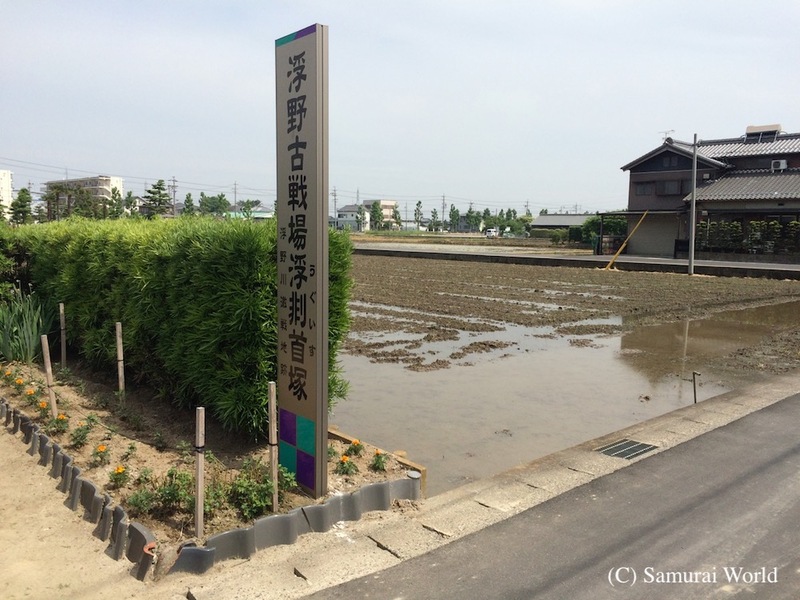 Fuji, the ocean, and the road leading to Odawara. 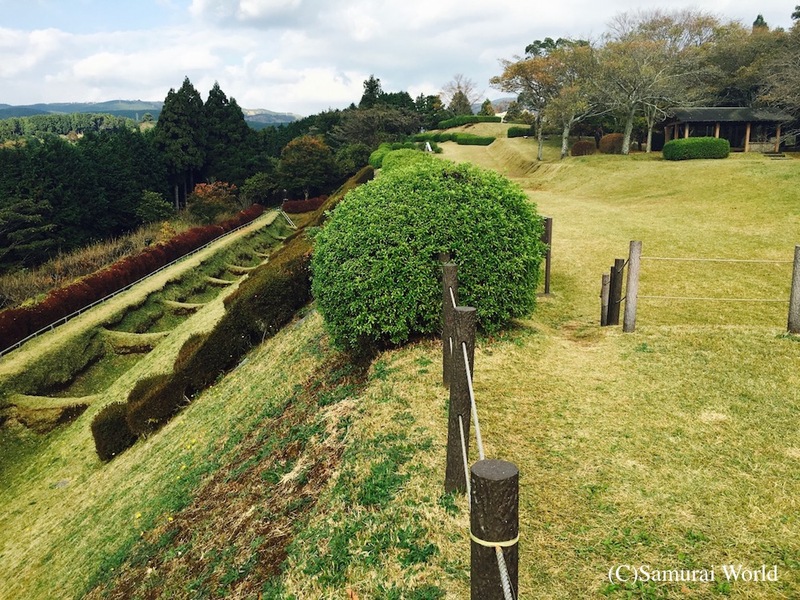 The castle had five baileys, the Honmaru, Ni-no-Maru, Kita-no-Maru, Nishi-no-Maru and the Daisaki-de-Maru. 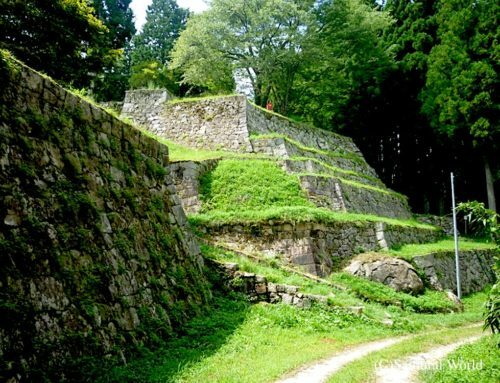 Well defended gates, log palisades and wooden walls with gun and arrow slits lined the edges of these compounds, separated and protected by intricately designed dry moats and steep slopes. 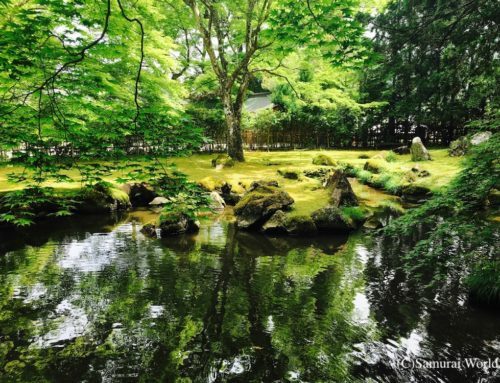 Yamanaka Castle’s rare Shoji-bori and Une-bori moats can be easily seen and appreciated. 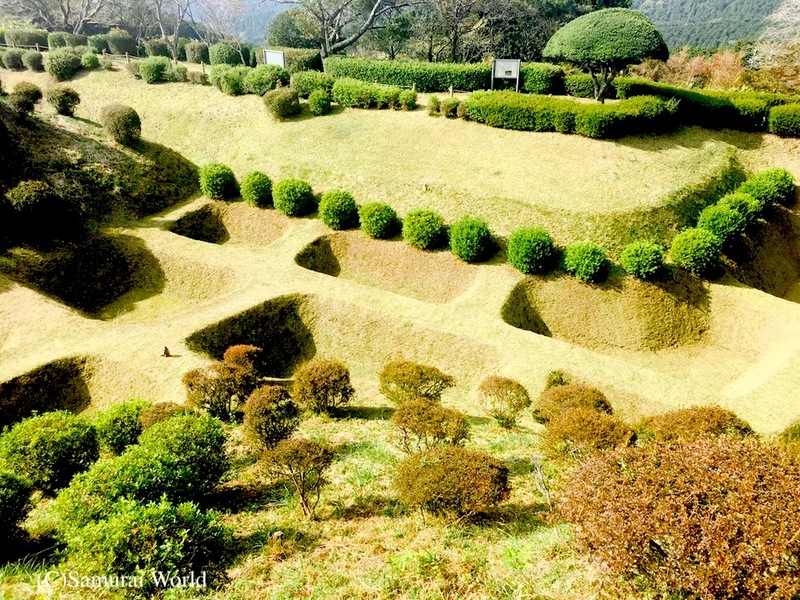 The moats lie in a waffle-shaped fashion, with narrow ridges around the square shaped depressions. The moats were dry, as sourcing water and maintaining it at the top of the mountain was physically too difficult. 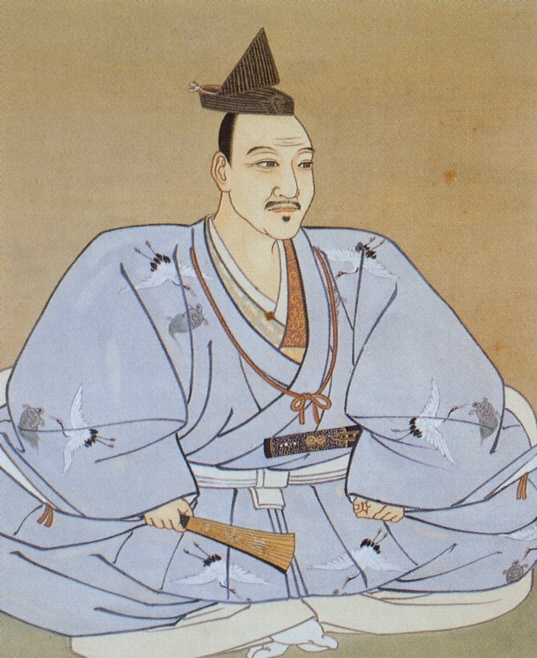 Around 1587, Toyotomi Hideyoshi, now nearing complete unification of Japan, began making advances on the powerful Hojo clan in an effort to unite the nation under a single ruler, himself. As the Hojo had not yet submitted to his will, he began raising large armies against them. 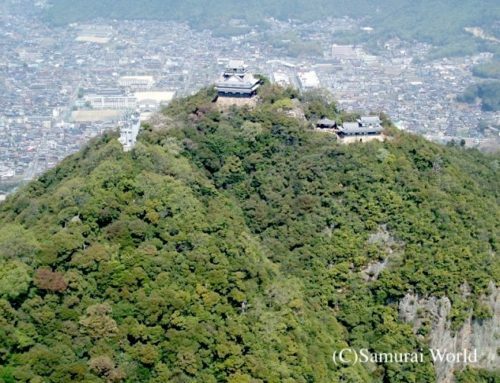 The Hojo quickly set about strengthening the smaller outlying castles, including Yamanaka, which was commanded by Hojo Ujikatsu and supported by around 4,000 samurai. They never got to complete the fortifications. 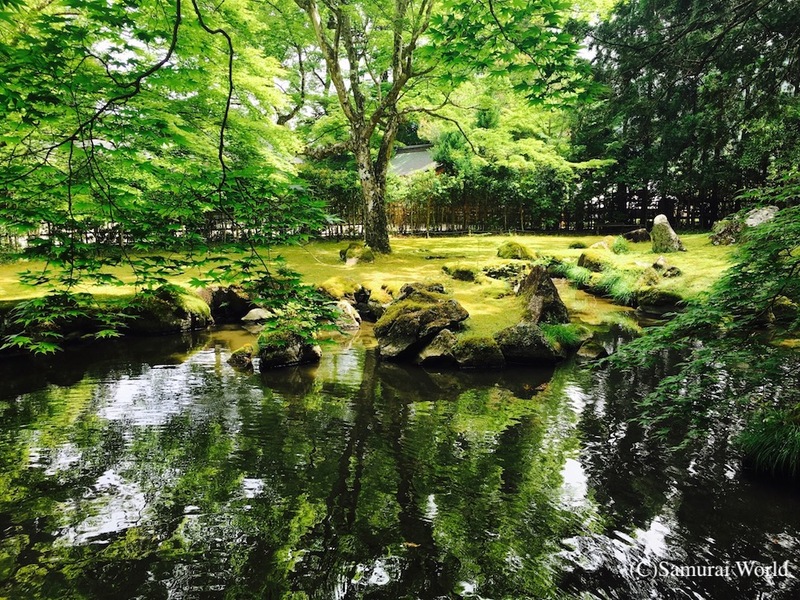 In 1590, Hideyoshi made his move. 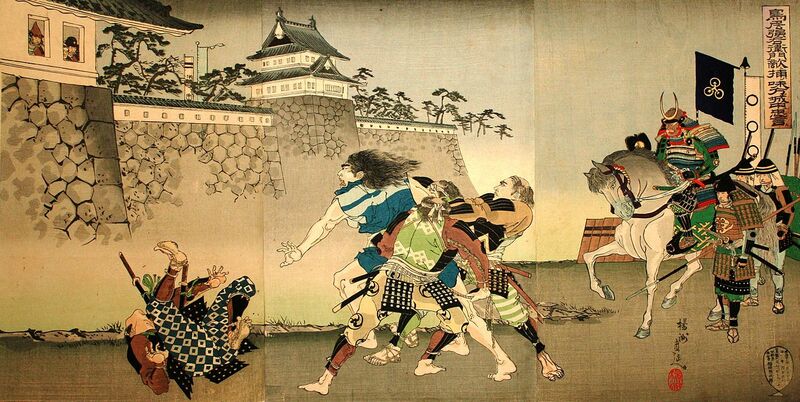 The Toyotomi troops numbered around 67, 000 against the Hojo clan’s 4,000 defenders. Basically a ratio of 16 to 1! Even then, the Hojo troops fought valiantly, and the Toyotomi suffered heavy losses. It was a vicious and bloody battle that lasted barely half a day, (according to some accounts, even as little as two hours!) and saw the deaths of most of the defenders and the destruction of the castle. It was never rebuilt. 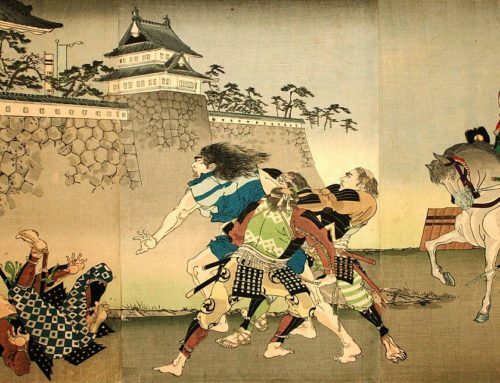 Hojo Ujikatsu and his top generals fled from Yamanaka back to assist in the defense of Odawara Castle towards the end of the battle. It was the first skirmish in the Siege of Odawara that would lead to the final downfall of the illustrious Hojo clan. 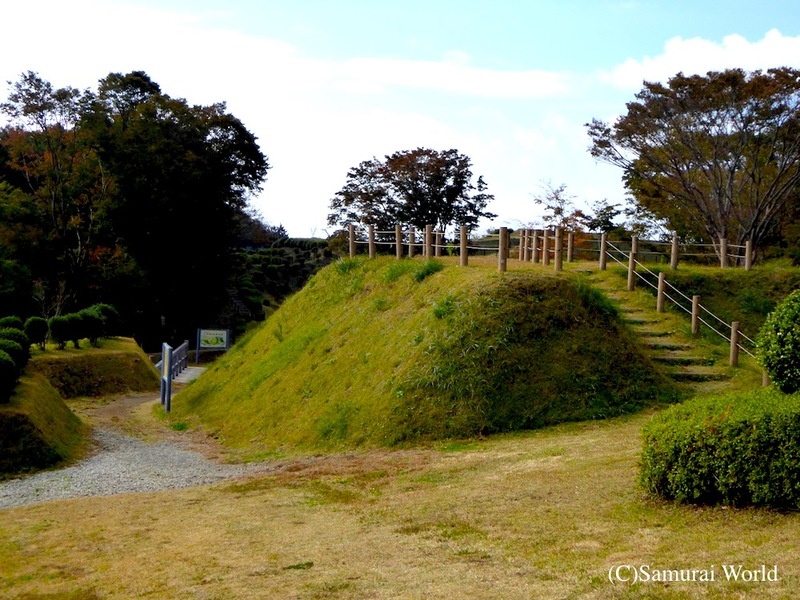 The remains of Yamanaka Castle were proclaimed a National Historic Site in 1934. As the site had reverted to forest, preservation projects were later established. 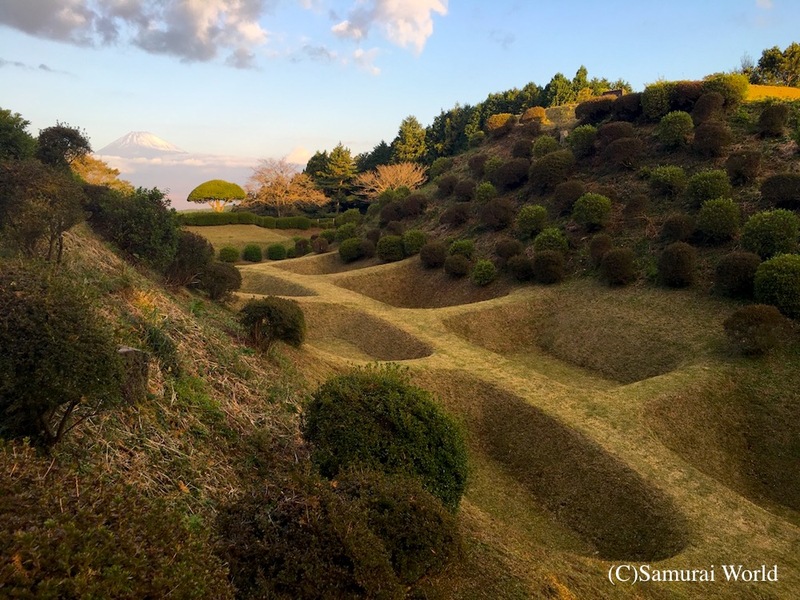 Although there are no remaining structures, the unique moat systems featuring the rare Shoji-bori and Une-bori moats can be easily seen and appreciated. 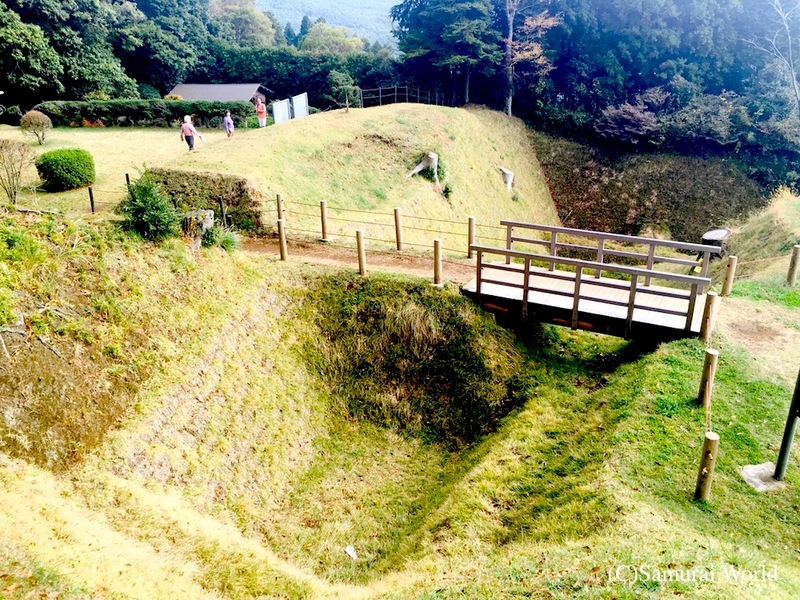 The moats lie in a waffle-shaped fashion, with narrow ridges around the square shaped depressions. Although it looks easy to cross, the narrow ridges ensure the attackers can only cross carefully in single file, making them an easy target for the defenders. 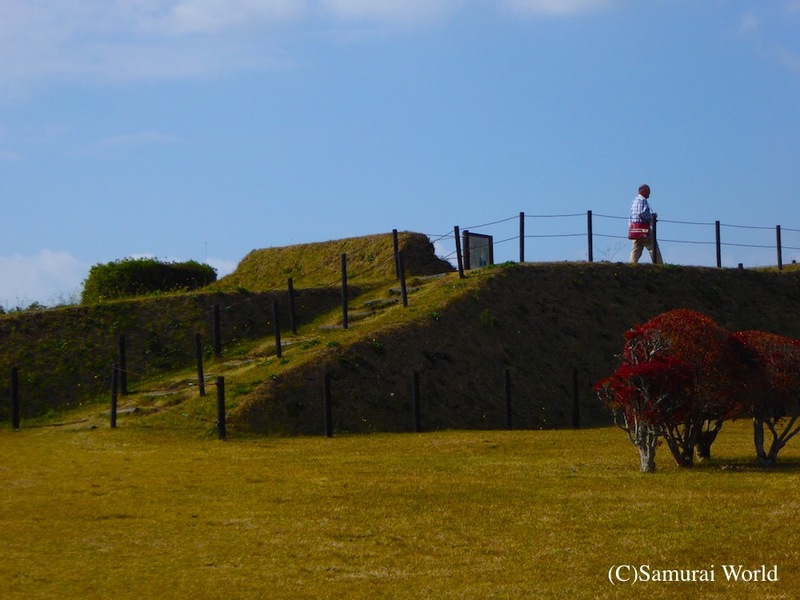 These ridges would most likely have featured wooden spikes and tied ropes to further hinder attackers. In 2006, the site was listed among the Top 100 Castles of Japan. Access：Take the bus fromJR Mishima Station to Yamanaka-Jo Ato Bus Stop, 1 minute walk.